For years we've been hearing that SmackDown Live is the house that AJ Styles built, and it's certainly true. He was the heart and soul of the brand and was also the reason that SmackDown was the superior of the two WWE brands on most weeks! But now AJ Styles' journey on brand blue is in the past and he's all set to make a name for himself on RAW. He arrived with a brand new look and made an instant impression with a big win in the main event. 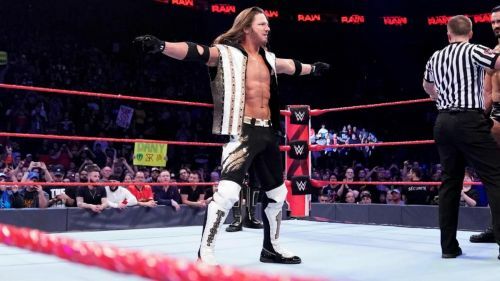 So, what does the future look like for AJ Styles? Let me try and answer the question by picking out 5 potential dream feuds he could have as a member of the red brand. Be sure to share your thoughts and views in the comments section. Who would you like to see him tussle with? Sami Zayn has been cutting some of the most passionate promos of his life on RAW, and rumors indicate that one of them may have even been unscripted, believe it or not. But there comes a time when a performer needs to shut up and square off in the wrestling ring. When that happens, Sami Zayn and AJ Styles could put on quite a clash. Both men have come up through the independents and both men are known to be exemplary in-ring workers too. As it stands, AJ Styles is a beloved babyface whereas Sami Zayn is a heel who's disillusioned with the WWE Universe. The crowd will be electric if these two men are allowed to tell a story in the ring. Zayn can finally emerge from the shadows of Kevin Owens and carve his own path. Styles and him could have a long, drawn-out feud.